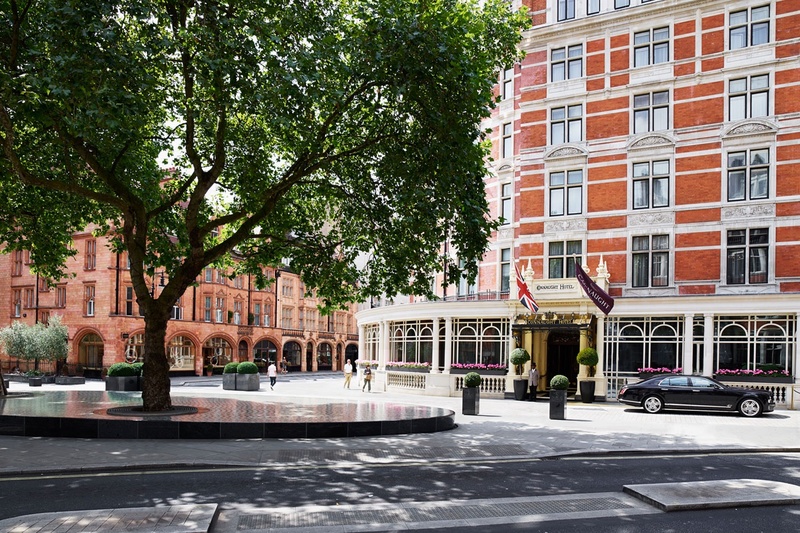 Part of the prestigious Maybourne group, The Connaught takes pride of Carlos Place in the hub of Mayfair Village. 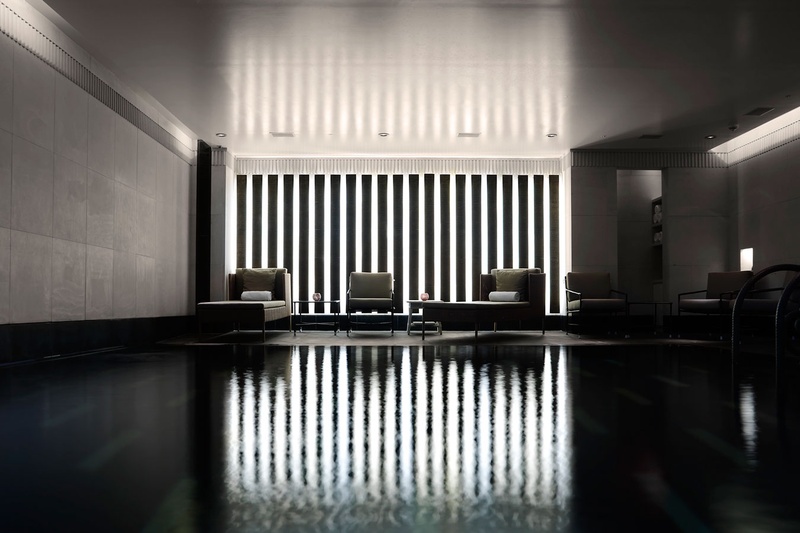 Hidden in the basement of the shiny new wing of The Connaught is Aman Resorts’ first urban spa. 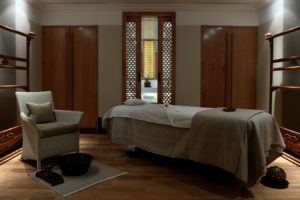 Retaining the world class Aman Spa qualities and it’s wonderful ethics of embracing nature, the chic space is styled in natural woods and stone creating a calming ambience in contrast to the bustle of the city outside it’s walls. 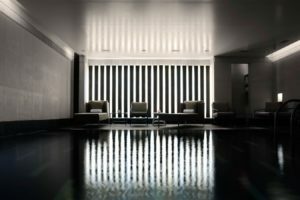 Head to the spa hub and you’ll find the beautiful pool fringed with day beds for pre and post treatment lounging and an aromatic steam room. Facilities include a swimming pool, steam, treatment rooms and a relaxation area. 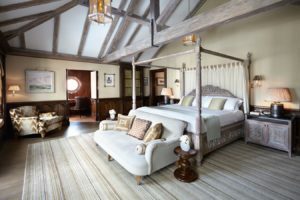 Rooms and suites range from traditional in the original building to contemporary in the new wing. Standard rooms offer the choice of a classical or contemporary style. All rooms feature the latest in modern technology with the best in-room entertainment and flatscreen TVs. Bathrooms are kitted out with luxurious Bamford toiletries. 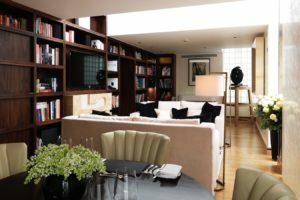 The Library Suite is designed by renowned architect Michael Blair and comprises of a master bedroom with an en-suite bathroom, a guest cloakroom and library-style sitting room – with a secret door in one of the bookcases! 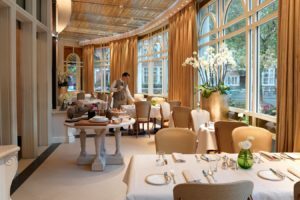 Hélène Darroze heads up the Michelin-starred cuisine at The Connaught, with a menu that earned her a second Michelin star. 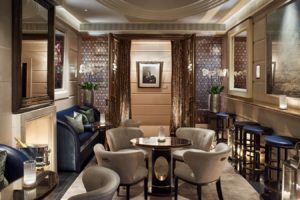 The Coburg Bar serves up light lunches and snacks. 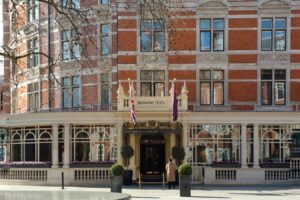 Royalty, dignitaries and Hollywood a-listers regularly grace the Connaught’s doors, many returning year after year, and it’s easy to see why. On entering The Connaught the first thing that hits you, aside from the truly delicious aroma (British master perfumer Roja Dove have created a bespoke perfumed candle especially for the hotel) is the warm and welcoming ambience. Over 100 rooms and suites dot the iconic hotel, yet it still retains the cosy feel of a boutique residence. The Spa Signature Treatment from Thailand is a richly aromatic and holistic experience that combines Thai massage with the use of steam and Thai herbal heat compresses (Luk Pra Khob). A deeply warming treatment which purifies the skin, the treatment is recommended for deep-seated muscular pain, detoxification and re-energising. All treatments commence with the renowned Aman foot ritual to encourage immediate relaxation. China: Invigorating – an energising Himalayan salt scrub and traditional Chinese body and face massage. Thailand: Unwind – to release deep seated muscular tension using authentic Thai massage and Thai herbal compress. India: Balance – a harmonising Chakra balancing treatment with crystals and essential oils and Samadara facial massage. The Americas: Purifying – a cleansing sage and cedar smudging and body wrap followed by grounding hot river stone massage. The fitness centre is well equipped to meet cardiovascular and core training needs, offering Technogym equipment, kinesis, free weights and core focus areas. Personal training and sports massage can be arranged by appointment. Don’t miss lunch at nearby renowned fish restaurant Scotts, followed an early evening stroll in Hyde Park. A mooch around the designer shops (many designers have their flagship stores just a stone’s throw from the hotel). Aman Wellness offers a holistic tailor-made selection of treatments to promote relaxation and healing of body and mind. Our Reiki Master, Bernice Robinson, will use her natural healing ability to help awaken and release a transformational sense of wellbeing and peacefulness. Reiki is a gentle and non-invasive treatment which leaves your mind and body re-energised, helps to dissolve blockages and visibly rejuvenates your body in the most natural way. A session is included to address your fitness goals, existing and new. A deeply relaxing massage takes account of pressure points and problem areas. All of this is wrapped up within a luxurious stay in one of The Connaught’s most restful rooms or suites, with a healthy dinner and breakfast included. 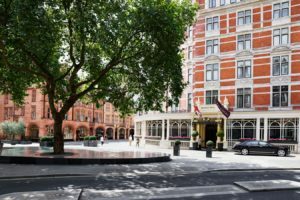 This is what it means to have access to an Aman Spa at the heart of one of London’s best addresses. An irresistible combination of wellness and comfort, custom-designed to leave you refreshed and recharged for the weeks ahead.